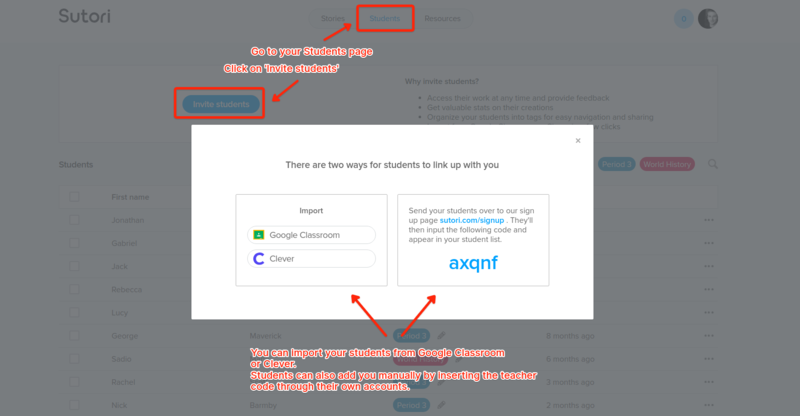 You can import all your classes from Google Classroom and Clever in a couple of clicks. Head on over to your &apos;Students&apos; page and select &apos;Invite Students&apos;, where you&apos;ll see the import options. Once the import is complete, your students will still need to register on Sutori with their Google or Clever accounts (sutori.com/signup). Once this is done, they will automatically be added to your list and assigned their Google Classroom or Clever tag. All stories can be shared to Google Classroom. 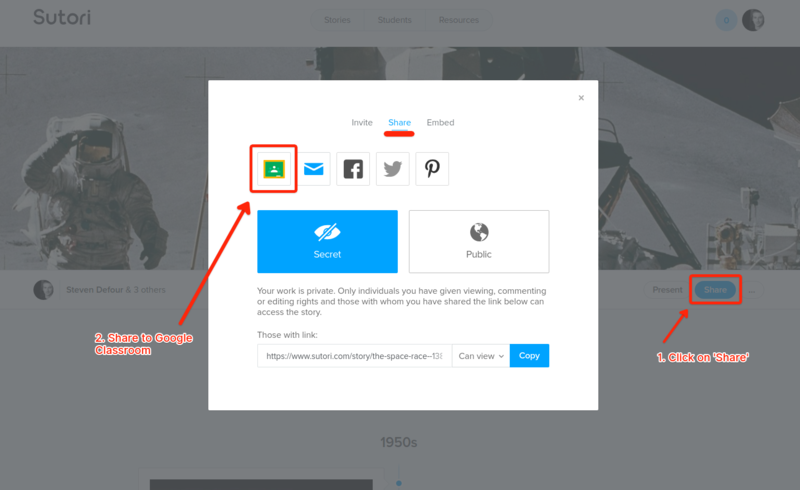 Click on &apos;Share&apos; when on a story, then select the &apos;Share&apos; tab where you will see the icon.